I often find myself trying to determine which colour is the "complementary" one of (or would nicely fit with) two colours imposed by the client brand. At times, only one colour is imposed, and I want to find two colours that would fit it. Is there a quick and easy way to figure it out? Try playing around with the HSB colour selection model. In HSB (Hue, Saturation, Brightness), Hues (H) are laid out in a circular fashion, with their H values varying between 0 degrees (red) and 360 degrees (red again). If you want a colour's complementary hue, sample its H value and add 180 degrees to it (or subtract 180, whichever gives a valuw between 0 and 360) to get the complementary. Thus, red (H=0) has a complementary in cyan (H=180). If you want a colour's full complementary, you should also invert the S and B values, which are expressed in precentages. For example, a dark desaturated red (read: brown) has a complementary in a light, saturated cyan. HSB is available in the colour pickers of most (if not all) Adobe software. This is only one method. There are multiple other colour models, with their own sets of complementaries. The classic complementary pair red-green, for example, are not complementary in HSB. If it's creating colour schemes that you're after, you should try more than just complementary colours: there are multiple ways of looking for hues and colours that go well with a base colour. 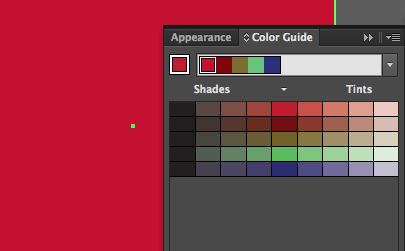 Try playing around with Illustrator's Color Guide ( Window > Color Guide or Shift+F3), where you can choose a base colour and multiple 'harmony rules' to create a scheme. You can try Adobe Kuler for an online version with even more customisation options. If you want a quick and easy solution, you can use http://colorschemedesigner.com and select "triad" option for two complimentary colours. Other options are available depending on how many subsequent colours you need. The simple solution is to subtract each RGB value from 255. 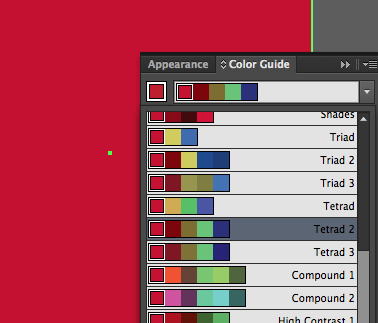 If you want to try more advanced solutions, you could look at the color schemer. You could even directly subtract the hex color code from FFFFFF. How do I find a common complementary color? How to harmonise complementary colors for a website using HSB model? What role does logo color play in web design? Illustrator > Recolor Artwork: How to manually choose the replacement colours from swatch groups? What are some design strategies to make a 'dull' colour palette feel more vibrant? Is there a web tool that returns a contrasting colour palette from the number of entries? What is the pattern and which color is the odd one out?